Raziyah Yahya was formerly an Advisor and Head of Group Insurance of Petroliam Nasional Berhad (PETRONAS). She has been with PETRONAS Group Insurance since May 1978 until her retirement in December 2017. Prior to joining PETRONAS, she was attached with Mayban-Phoenix Insurance Sdn Bhd. 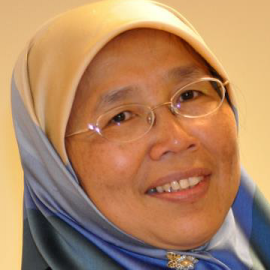 During her tenure with PETRONAS, she was also appointed to the Board of Energas Insurance (L) Limited on 24th March 2005 and as Chief Executive Officer on 4th May 2009. Energas is a captive insurance company and a wholly owned subsidiary of PETRONAS. She currently sits on the board of AIG Malaysia Berhad as an independent non-executive director. She was also a former board member of a Labuan based reinsurer company since 2004 until her resignation in November 2018. She holds a professional qualification from the Chartered Insurance Institute, UK as an Associate (A.C.I.I) since July 1981 and a member of the Chartered Insurance Practitioner (CIP), UK.